Introverts have strengths that are often seen as weaknesses in a world where the loud and bold are lauded. Manage them well and your business will be rewarded. 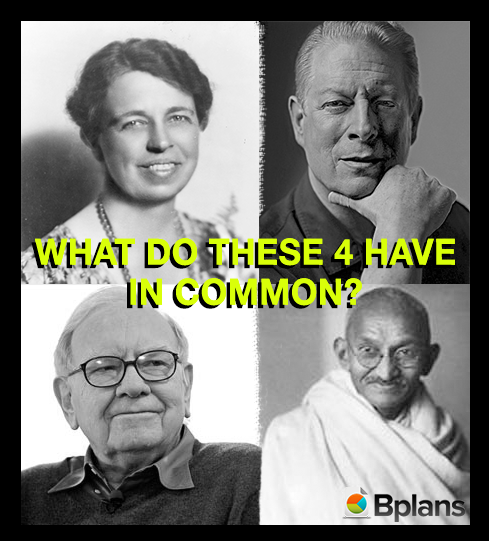 Eleanor Roosevelt, Gandhi, Al Gore, and Warren Buffett. What do these figures have in common aside from their popularity? According to Susan Cain, author of Quiet: The Power of Introverts in a World that Can’t Stop Talking, they (along with more than one-third of the world’s population) are introverts. Introverts are people who “recharge” by spending time alone. They need periods of solitude in order to thrive, be more creative, and more productive. The list of well-known and successful people who consider themselves as introverts is pretty impressive. But you wouldn’t know. Most of them aren’t really keen on self-promotion. You may have noticed that you have introvert employees. Those who prefer to keep to themselves and eat lunch alone, may be quiet during meetings, and aren’t big on small talk. Yes, they’re not much for words, but when you have a problem, they come up with a great solution—that is, after going off to a corner to think. For employers, this is pretty important to understand, not only for the well-being of employees but also for the company. You could be missing out on a lot by not knowing—or worse, not caring—about how your introvert workers are doing. Introverts have strengths that are often seen as weaknesses in a world where the loud and bold are lauded. Introvert employees can bring a lot to the table and they’ve been doing so for years while being tagged as shy or unremarkable. Imagine what could happen if you manage your introverted employees better. Give your introverts time to think and gather their thoughts. You’re more likely to get great ideas and solutions from them this way. Prior to meetings, be sure to give a clear agenda so they can prepare and present their ideas well. While emergency meetings are not totally avoidable, you can still use the opportunity to bring out the best in your introvert employees by giving them enough time to think after. Ask for their feedback an hour or a day after the meeting. Most people would think that this idea of “giving enough time” couldn’t possibly work in this fast-paced world. But what would you rather have: a quick, half-baked solution to a problem or a well-thought-out, sustainable one? Introverts are known to be easily stimulated and thus easily tired out by prolonged interactions with people. This makes open-space offices a challenge. If you have such a setup in your business, provide a quiet space for your introvert employees, a place where they can retreat for a few minutes before delving right back into busy work. It could be a small nap station or some place just to hang out in peace. The presence of books in such a place is highly recommended. And it’s also good to remember that while teamwork is essential in business, introverts thrive best when they work independently. So allow them to work without constant interruption, which can be detrimental to anyone’s creative process. Silence is also a big thing for introverts. Unfortunately, most people take silence the wrong way, including bosses. An introvert is usually quiet for one of two reasons: either everything’s already been said or he’s too busy coming up with a plan. So respect their silence and create a workplace environment where there’s no pressure to say something when there’s really nothing important to say. You can get more meaty ideas from your introverted employees if you use social media and other forms of virtual communication, which are a godsend to introverts. Writing out a response rather than answering right away gives introverts more time and freedom to structure answers and express ideas more clearly. The recent positive attention that introverts are getting is changing people’s perceptions and organizations and businesses are becoming more aware of the needs and strengths of introverted workers. But it’s important to point out that these tips for managing introverts aren’t a form of coddling. These are simply tips that employers and managers can use to help bring out the best in their introvert employees, whose talents and strengths can greatly benefit organizations and help businesses grow. How do you take care of your introvert employees? Glori Surban is an introvert writer with a knack for helping small business owners and entrepreneurs get noticed online by providing customized freelance blogging services.